Tilikum to Shed Light on Superbug Crisis? – microBEnet: the microbiology of the Built Environment network. home .Topic: Antimicrobials and Resistance, Education, News, Social Media Tilikum to Shed Light on Superbug Crisis? You have all heard of Tilikum the killer whale. He’s known for killing 3 of his trainers and is featured in the documentary Blackfish. Regardless of where you stand in all of the controversy, Tilikum has been making the news once again due to an untreatable bacterial infection in his lungs. Here is the statement from SeaWorld: “Our teams are treating him with care and medication for what we believe is a bacterial infection in his lungs. However, the suspected bacteria is very resistant to treatment and a cure for his illness has not been found.” Did you hear that?! THE SUSPECTED BACTERIA IS VERY RESISTANT TO TREATMENT AND A CURE FOR HIS ILLNESS HAS NOT BEEN FOUND. I’m truly sorry that this blubbery icon is fighting for his life, but I’m also super excited. The entire world knows about Tilikum, and his antibiotic resistant infection is bringing education about antibiotic resistance to millions and millions of people. This is something that us, as scientists, need to jump on! 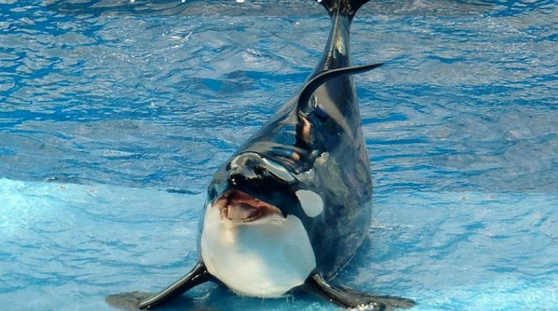 Tilikum may just be the face we need to successfully communicate with the greater public about the terrifying public health crisis of superbugs. Everyone is on board – those who love Tilikum, those who hate SeaWorld and will blame them for his death (if he dies), and everyone in between.